Mergify: 10 things that change your attitude towards time ! 10 things that change your attitude towards time ! Might as well get this common question out of the way. Of course time exists — otherwise how would we set our alarm clocks? 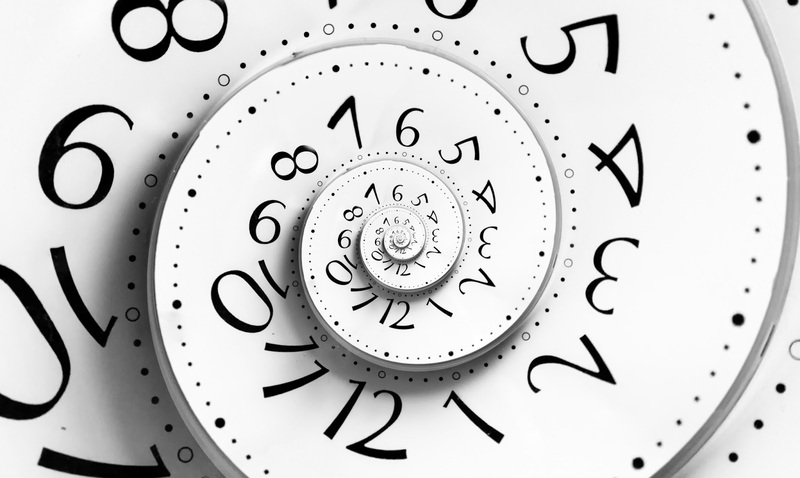 Time organizes the universe into an ordered series of moments, and thank goodness; what a mess it would be if reality were complete different from moment to moment. The real question is whether or not time is fundamental, or perhaps emergent. We used to think that “temperature” was a basic category of nature, but now we know it emerges from the motion of atoms. When it comes to whether time is fundamental, the answer is: nobody knows. My bet is “yes,” but we’ll need to understand quantum gravity much better before we can say for sure. This is true at the level of both physics and biology. Within physics, we used to have Sir Isaac Newton’s view of time, which was universal and shared by everyone. But then Einstein came along and explained that how much time elapses for a person depends on how they travel through space (especially near the speed of light) as well as the gravitational field (especially if its near a black hole). From a biological or psychological perspective, the time measured by atomic clocks isn’t as important as the time measured by our internal rhythms and the accumulation of memories. That happens differently depending on who we are and what we are experiencing; there’s a real sense in which time moves more quickly when we’re older. About 80 milliseconds in the past, to be precise. Use one hand to touch your nose, and the other to touch one of your feet, at exactly the same time. You will experience them as simultaneous acts. But that’s mysterious — clearly it takes more time for the signal to travel up your nerves from your feet to your brain than from your nose. The reconciliation is simple: our conscious experience takes time to assemble, and your brain waits for all the relevant input before it experiences the “now.” Experiments have shown that the lag between things happening and us experiencing them is about 80 milliseconds. When you remember an event in the past, your brain uses a very similar technique to imagining the future. The process is less like “replaying a video” than “putting on a play from a script.” If the script is wrong for whatever reason, you can have a false memory that is just as vivid as a true one. Eyewitness testimony, it turns out, is one of the least reliable forms of evidence allowed into courtrooms. Many cognitive abilities are important for consciousness, and we don’t yet have a complete picture. But it’s clear that the ability to manipulate time and possibility is a crucial feature. In contrast to aquatic life, land-based animals, whose vision-based sensory field extends for hundreds of meters, have time to contemplatea variety of actions and pick the best one. The origin of grammar allowed us to talk about such hypothetical futures with each other. Consciousness wouldn’t be possible without the ability to imagine other times. At the heart of every difference between the past and future — memory, aging, causality, free will — is the fact that the universe is evolving from order to disorder. Entropy is increasing, as we physicists say. There are more ways to be disorderly (high entropy) than orderly (low entropy), so the increase of entropy seems natural. But to explain the lower entropy of past times we need to go all the way back to the Big Bang. We still haven’t answered the hard questions: why was entropy low near the Big Bang, and how does increasing entropy account for memory and causality and all the rest? Other than creationists, most people have no trouble appreciating the difference between “orderly” (low entropy) and “complex.” Entropy increases, but complexity is ephemeral; it increases and decreases in complex ways, unsurprisingly enough. Part of the “job” of complex structures is to increase entropy, e.g. in the origin of life. But we’re far from having a complete understanding of this crucial phenomenon. Complex organisms die. Sad though it is in individual cases, it’s a necessary part of the bigger picture; life pushes out the old to make way for the new. Remarkably, there exist simple scaling laws relating animal metabolism to body mass. Larger animals live longer; but they also metabolize slower, as manifested in slower heart rates. These effects cancel out, so that animals from shrews to blue whales have lifespans with just about equal number of heartbeats — about one and a half billion, if you simply must be precise. 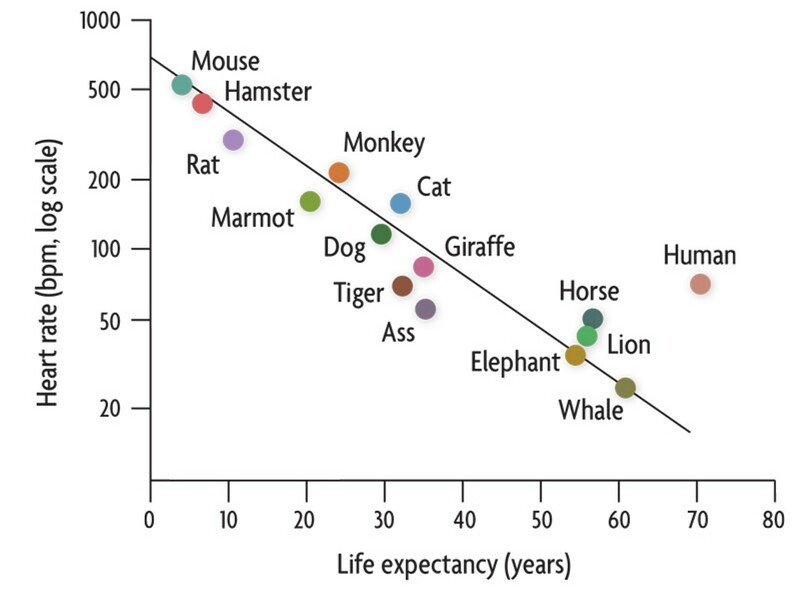 In that very real sense, all animal species experience “the same amount of time.” At least, until we master #9 and become immortal.